For some clients, we create their bridal bouquet combining 7-9 different types of blooms together for a stunning textural effect with plenty of drama. But for far more of our clients, we seem to stick to using 3-4 flowers that blend together simply and beautifully into an artful floral accessory. After all, why over-complicate the glory of Mother Nature? 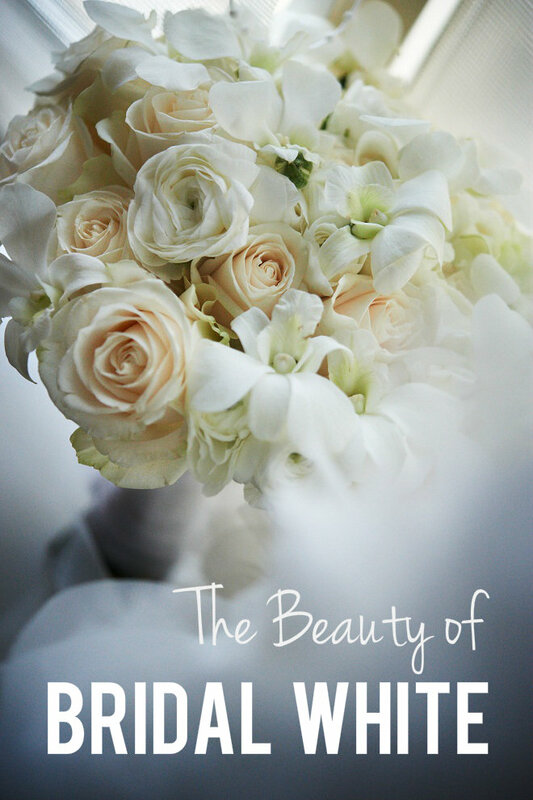 For instance, for a lovely bride hosting her wedding at The Westin Philadelphia, we created a hand-tied bouquet of just three beloved wedding flowers all in the same creamy white hue: Vendela Roses, Ranunculus and Dendrobium Orchids. Simple. Elegant. Traditional. Perfection. What more do you need? 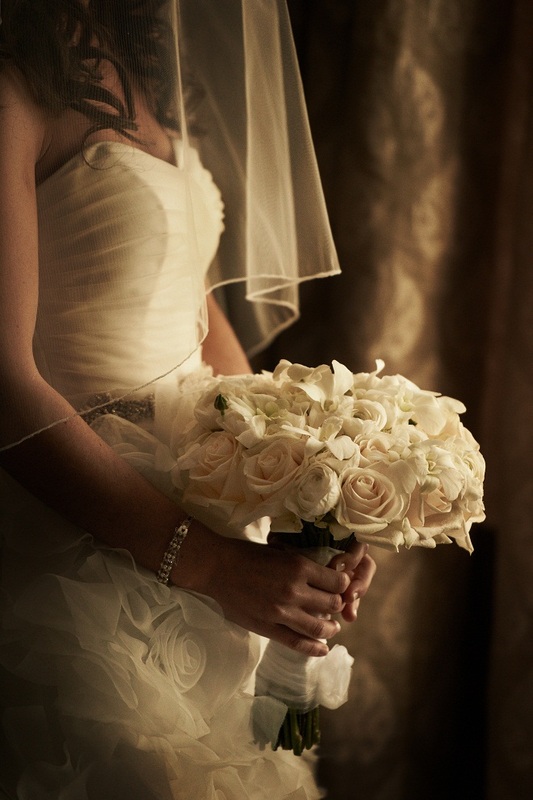 You are currently browsing the archives for the BOUQUETS category.